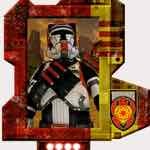 Is the Havoc a approved legion costume? If so where is Crl for this build? I have a kit ready to build but want to make sure it will be approvable . 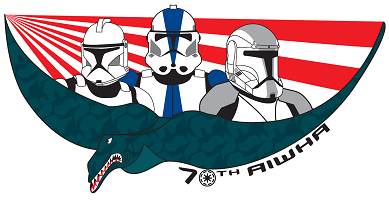 Though many have been approved, I'm not sure that we have a Costume Standard (CS) for the Havoc Squad Troopers. It's a RL only costume, but yes it may be approved. Ok so my next question is in the game they are able switch colors on them. I have seen pretty much all the costumes in red or orange but I have seen a blue Havoc and wanted to know will that be excepted ? Are they blue as a natural part of the design (I haven't played this one)? If so it could be. If it is a customization, and not the normal colouring no. We typically only allow game characters in their natural configuration, not customized. So if they are in blue in the story, share references (front / back) and go for it. Ives seen a blue and white, not sure if its approvable my standard Orange and white has been approved for years.